Do you crave for some old-school challenge in your gaming life? If so, then Retro Highway is just the game for you. 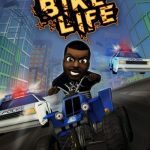 This throwback to Sega Genesis-style bike game lets you experience the best of 80s gaming while adding a few modern twists of its own. Available on Android and iOS, this game is all about high-octane action. You are given an endless road to travel, and your goal is to get as far as you can. Of course, there will be challenges and missions that you have to complete along the way. You also have access to a garage filled with numerous upgradable bikes to help you take on the unforgiving road. There are six unique environments for you to explore, including a futuristic moon base among other things. The ride won’t be easy, but you can always rely on our Retro Highway cheats, tips and tricks to help you! Retro Highway is challenging enough as it is, so make sure you try to get any advantage you can. One such advantage is ensuring you are comfortable with the controls. By default, the controls put left and right arrows on the two sides of the screen. You will also see the nitro button above the right arrow. There are three other options for you to try out. The first one puts the left and right arrows on one side, so you can reach both of them with the same finger. The second one uses gyroscopic controls, but it will only work if your device supports it. The last one lets you swipe left or right instead of using arrow buttons. Try each of the control types to see which one works best for you. There are six tracks available in Retro Highway, but only one of them is accessible from the start. The six tracks are the Emerald Hills, Great Desert, Moon Base, Rocky Mounts, The Downtown, and Candy Land. You will need to unlock the other ones as you progress in the game. 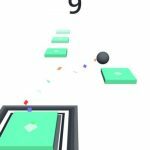 To do so, you will need to complete the challenges of each track. Most of the challenges are just milestones that you will naturally reach as you play the game. Others, however, require specific actions from you. That is why it is important that you check the list of challenges before taking on the tracks. For example, some challenges will require you to crash before you reach a certain distance. If you did not check the list of challenges, you will most likely fail this challenge. Pay attention to the things you need to do in order to unlock the other tracks. If you are struggling with a particular challenge, and you don’t have the patience to keep trying, you can always just watch an advertisement to get it over with. Keep in mind, though, that you can only skip one challenge every 30 minutes. You can’t just breeze through everything in one sitting. There are several types of stunts that you can try out in this game. 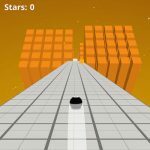 If you want to get a lot of coins, you should try to execute as many of these stunts as you can. Try to mix things up and use different stunts instead of sticking to just one. We have listed some of the most popular stunts in the game to help you figure out how to weave them into your run. This one is pretty straightforward. You just jump off a ramp. You will often see ramps scattered throughout the course. Just roll into one and you will fly right off. You could also use nitro in this situation to help you fly higher and grab some more coins along the way. This stunt comes after you do a Ramp Jump. You just need to fly over another vehicle while you are in the air in order to execute this stunt. Since you won’t be able to make a vehicle appear, you won’t be able to do this all the time. The key is being aware when there is an opportunity to pull it off. As the name suggests, this stunt requires you to have a near miss with another vehicle. It’s pretty easy to pull off since this will happen naturally as you progress in your run. In fact, you will often get this by accident. If you want to execute it on purpose, however, you can use nitro to speed up and aim for the other cars. Just know that this trick can be dangerous, so do it only when you are sure you can dodge the other vehicles at the last second. This is the Ramp Jump on turbo. It is all about going higher and farther with your jump, so you need to activate your nitro at the right moment to get the most air. You could also pull it off if you can go through consecutive ramps, but you cannot lose a second in executing it. This is another stunt that you can pull off after a Ramp Jump. Instead of flying over a car, try to land on top of it so you can bounce off. It is more difficult since you need to get on top of the other vehicle at just the right moment, but it does reward you with more coins, so try it if you dare. There are 11 bikes available in this game, but you will have to purchase all of them except for the starter, Pizza Boy. The other bikes are the Freak, the Vagabond, the Amateur, the Daredevil, the Hellrider, the Enthusiast, the Savage, the Adventurer, the Racer, and the Bosozoku. Each of these has its own set of speed, handling, and durability stats. Ideally, you would want to unlock them all. Unfortunately, it costs a whole lot of coins to unlock even just one of them. Make sure you invest wisely on your first purchase, then just unlock the others when you get more money. Our recommendation for your first unlock is the Amateur. Despite the seemingly useless name, this is actually one of the best first bikes you should invest in. There will be a couple of other bikes on sale when you start out, but it is better if you hold on to your money until you have 2,000 coins. The Amateur will only be on sale for 2,000 coins as long as you don’t purchase any other bike first, so make sure this is the first one you buy. It gives you the best stats for the price, and it will be useful for a long while after you purchase it. Aside from other vehicles on the road, you should also be wary of any other obstacles you might encounter. Emerald Hills has very few obstacles, so you might think the game is pretty easy. Once you hit the Great Desert, though, you will start encountering more hazards like oil spills, billboards, bridges, and roof tunnels. Oil spills will make your bike go crazy if you drive over them. Other obstacles like billboards can hit you while you are in the air. Make sure your path is clear before driving off a ramp! Turbo charges generate very slowly. You don’t want to burn all of them in one run. Use it only when you are doing particularly well in one run and want to top it off with some Big Air stunts. Otherwise, it is better if you just save your turbo charges. It is alright to squander it a little if your charges are full, though. The key here is supply management. Learn to determine when using a turbo charge could be beneficial. If you are having a good run, and you suddenly crashed, you could continue from where you left off by simply watching a video advertisement. Make sure you do this only when you have gone far in your run. Otherwise, you would just be wasting precious game time. Aside from the option to continue, you could also head into the main menu to watch some more ads. Doing so will give you a temporary boost that can help you progress further. Take advantage of these ad offers in order to maximize your progress. The game gives out a lot of freebies, and some of them are easy to miss. You will need to check the main menu once in a while to see if there are freebies waiting for you. The free coins you get from the main menu may not be a lot, but if you are diligent in checking for them, they will eventually pile up. Since the cost of unlocking new bikes is painfully high, every little bit of extra coin can go a long way in helping you get that Bosozoku you have been dreaming of. There are several types of power ups that you will encounter as you drive. You will see coin doublers, coin magnets, and more. You can also upgrade the power ups in the upgrade menu. Doing so will increase their duration. If you can’t decide on which power up to invest in, choose the double coin. The more coins you have, the easier it will be to upgrade the other power ups. Try to max it out as soon as you can in order to get the most benefits out of it. 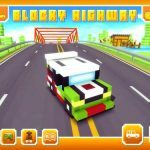 Prepare for the ultimate bike challenge of your life in Retro Highway! Just follow our list of Retro Highway cheats, tips and tricks listed above and you will be riding like a pro in no time!